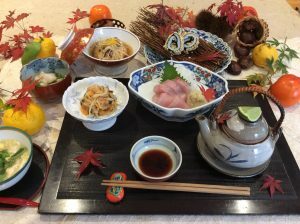 In 2018, we ran 4 kaiseki classes, for people who have some familiarity with basic cooking and Japanese ingredients. All other classes are suitable for everyone, featuring simple dishes, the sort of dishes Japanese people eat at home. 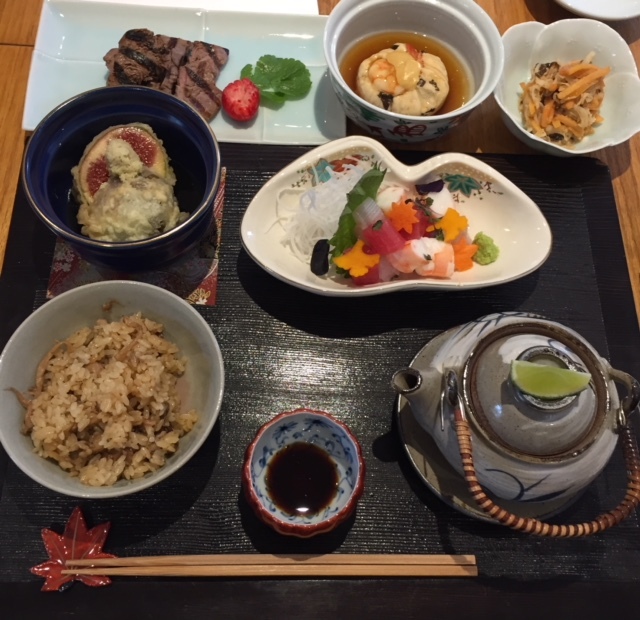 Our Japanese cooking classes are for people interested in cooking Japanese food at home, not suitable for chefs. Unfortunately, we cannot accept children under 18 years. And we do not have open ended gift vouchers, as we’ve had too many issues with them in the past. 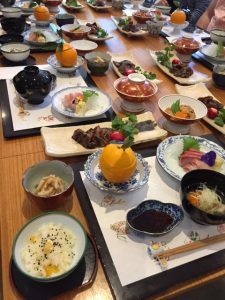 All classes are one-off, one-day sessions on Sundays from 10:00 am finish by 2 pm; held in Chatswood, Sydney; small–only about 8 people, so very hands on, meaning experience oriented. Participation is key. We are not a cooking school, we just run traditional Japanese classes, so our classes are personal, intimate and casual. Please read information about our classes so you know how they are run. We use soy sauce in our cooking, which contains wheat/gluten. We usually include meat dishes in our classes because from experience, people prefer the inclusion of meat dishes. We cannot accept people with serious food allergies as our classes are too small to make alternate dishes using substitute ingredients. It is your responsibility to let us know if you have allergies.